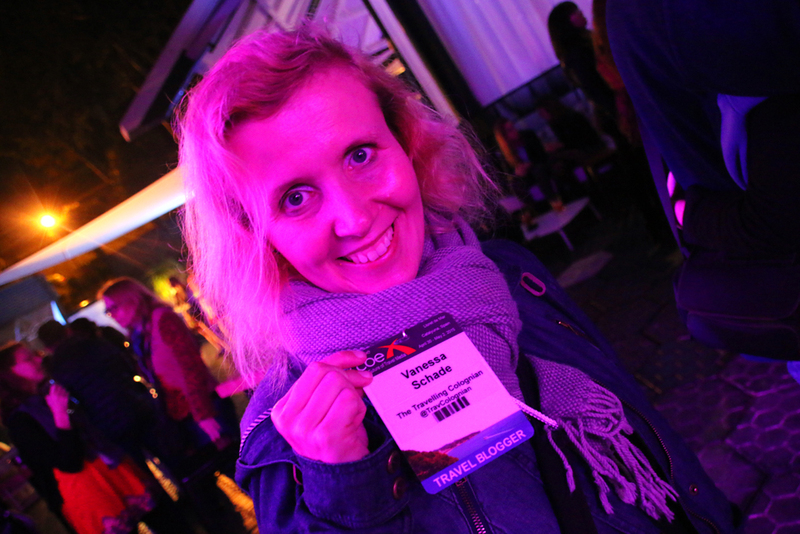 The first time I have heard about TBEX was through a post by Jessica in which she wrote about her first conference in the Greek capital Athens in October 2014. Right after reading it I decided that I would attend the next gathering in Lloret de Mar at the Costa Brava in Spain this year in April and May if I would be in Europe then and nothing else intervenes. 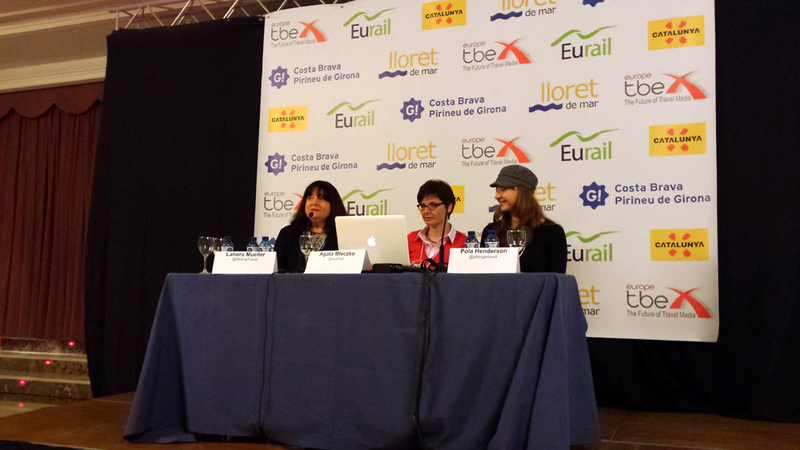 In March I eventually purchased my ticket for TBEX in Spain. TBEX stands for Travel Blog Exchange and is a Travel Blogging Conference which is held every year in Europe, North America and, from this October on, also in Asia. Although I also read Jessica’s second post where she gave very helpful tips and advice for the TBEX First Timer, I wasn’t prepared very well. I got special custom-made Business Cards for my Blog (thanks for the hint, Jessica), but apart from that I took things as they came. This may be good or bad, but when attending TBEX for the first time you shouldn’t miss to read the “official” Newbie Guide to TBEX. 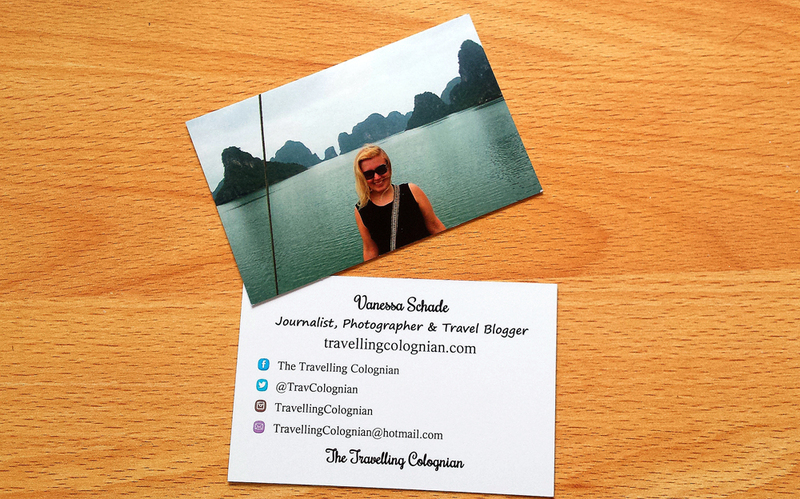 My Travel Blog Business Cards. I got the idea with my photo on the front from Jessica of Curiosity Travels. Let’s be honest: of course I went to TBEX for the sessions and for the speakers, but the main reason why I attended the gathering were the other Travel Bloggers. 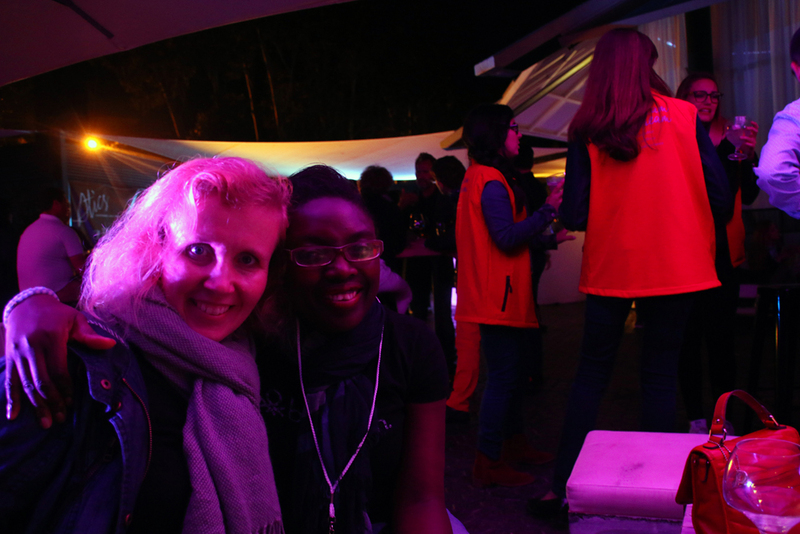 I was excited to meet Travel Bloggers in person who I only knew from their Blogs so far and I had several moments where I thought: I have met this person before, just to realize that I only know her from her Blog. I was also curious to meet others who I hadn’t encountered yet on the World Wide Web. I was really lucky to meet many amazing people from all over the world and I had a wonderful time. The first opportunity to meet other Travel Bloggers at TBEX were the so called Pre-BEX Tours, a variety of daytrips offered by TBEX. While the actual conference was held from the 30th April till the 2nd May, these tours took place during the days before. 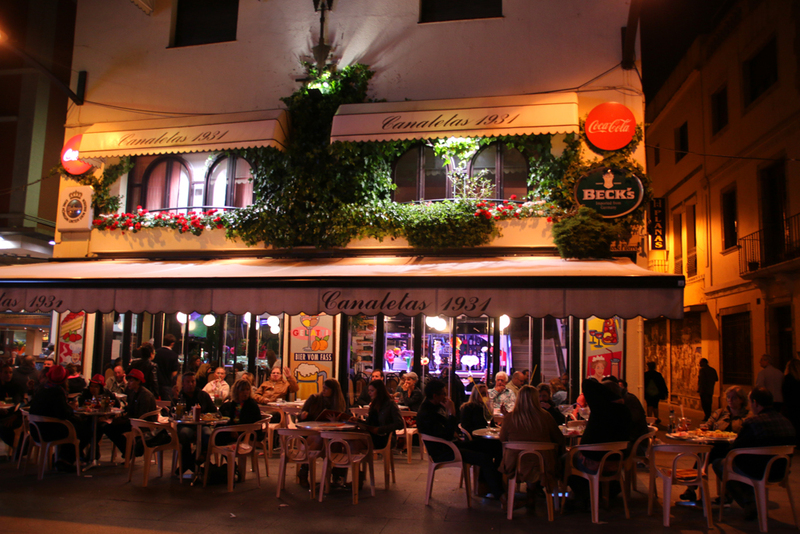 The selection ranged from Chocolate tours, Catamaran sailing, guided tours through Barcelona’s Quarters El Raval, Gràcia and the Gothic Quarter plus a gastronomic Spanish Tapas Workshop, just to name a few of them. 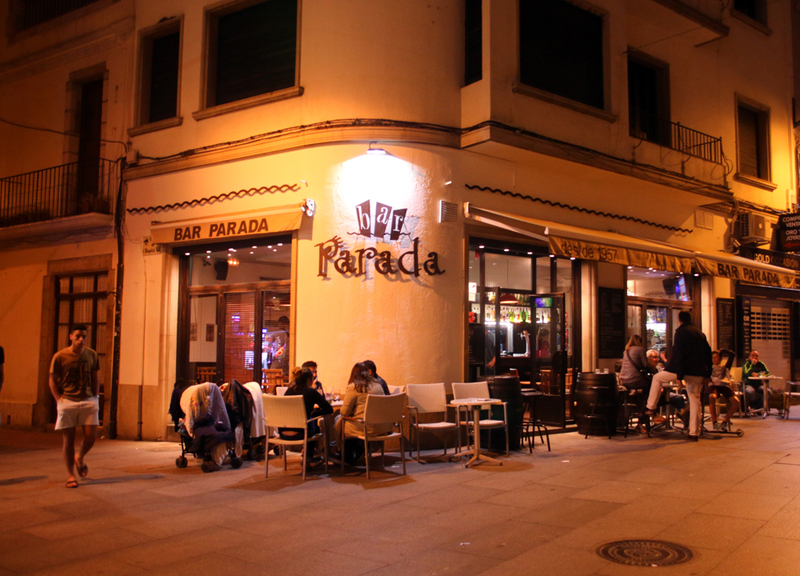 Most of them started at the Hard Rock Café in Barcelona and ended in Lloret de Mar. There were also a few daytrips on the 3rd of May, the day after the conference had ended. And the best thing was that these tours were already included in the ticket price. The only thing you needed to do was choosing your preferred tour(s) and regeristering yourself in time for them. Since I was very limited with my time in Spain, I didn’t take any of these tours because I wanted to have time to explore Barcelona by myself. But when attending my next TBEX, I will definitely make sure to register myself for my most preferred tours. 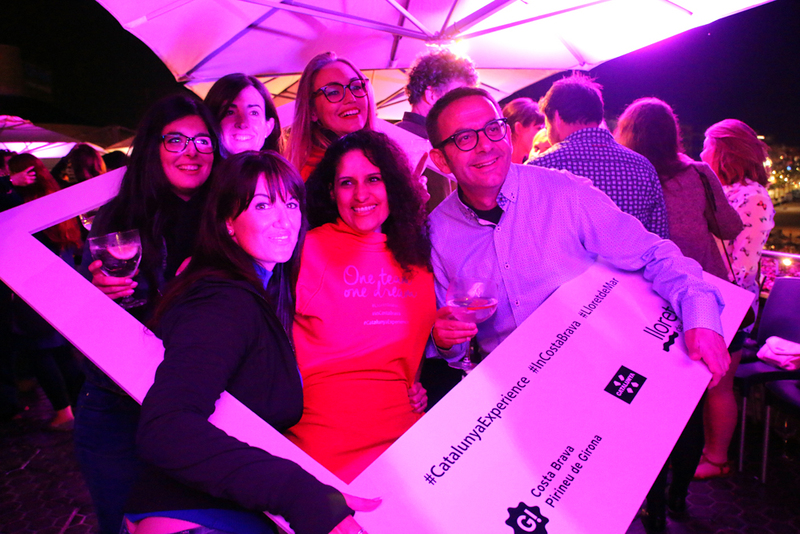 One day before the start of TBEX, its partner Travel Massive, a digital network of locally organized communities of the Travel Industry, organized a pre-TBEX Travel Massive party at Atics La Carpa, a club by the beach. I would have loved to attend but at that time I was still in Barcelona so it wasn’t possible. 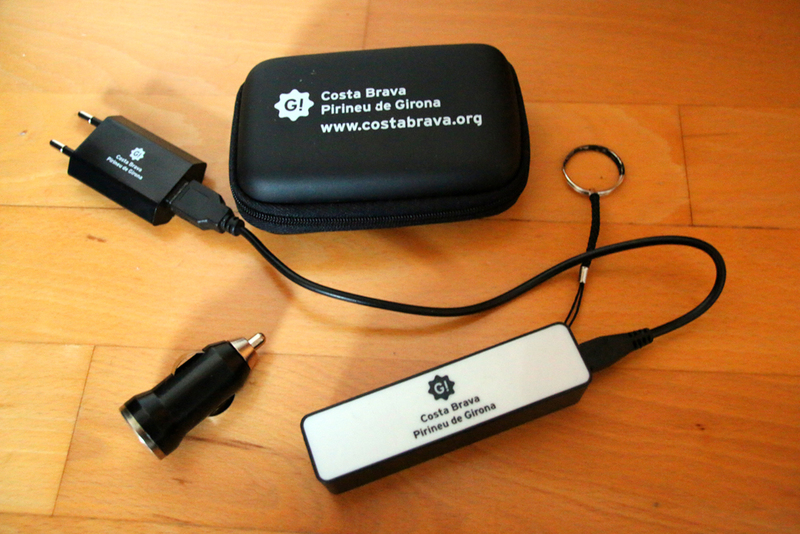 At the beginning of TBEX, when registering at the conference desk every participant received his name badge and a bag with giveaways, mainly advertising and discount coupons, but also a little notebook, a passport cover and a lovely little power bank. 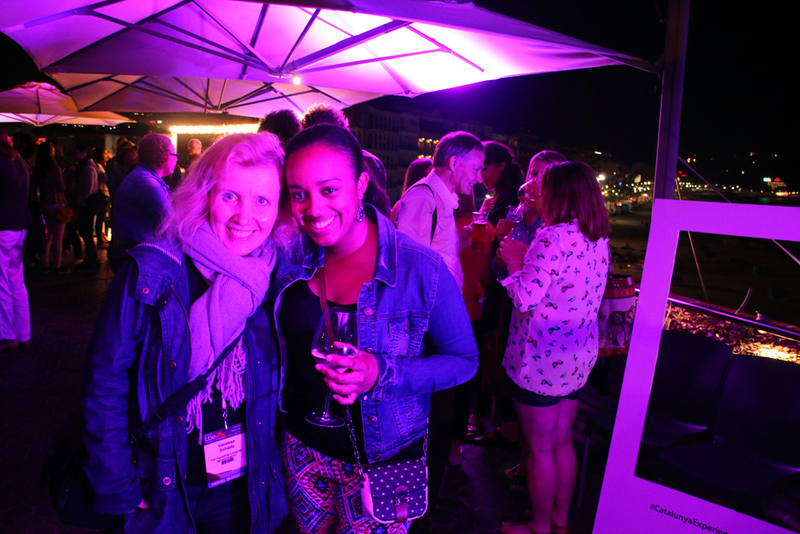 The official TBEX Europe started with an opening reception at a hotel at Santa Christina beach in the evening of the first official conference day. All guests met at the City Hall in Lloret de Mar and were taken to the party by boat or alternatively by bus. The location and the party must have been amazing. Since I got into Lloret de Mar quite late that evening I missed the opening reception like I had missed Travel Massive at TBEX the night before. I wanted to spend as much time in Barcelona as possible plus my bus to Lloret de Mar had a delay of more than hour, so I couldn’t even join the party later. When attending my next TBEX, I will definitely make sure that I arrive early to join both events. Both conference days started with Keynotes which were moderated by Mary Jo Manzanares and Rick Calvert of TBEX and with Interviews and Talks with Gary Bembridge of Tips for Travellers, José Borralho, the President of APTECE, the Portuguese Culinary and Economic Tourism Association, Nelson Carvalheiro, the author of “The Portuguese Travel Cookbook” and Michael Collins of Travel Media Ireland. Guests of the Final Keynote in the evening of the second conference day were Chris Christensen of Amateur Traveler, Katja Presnal of Skimbaco Lifestyle and Kash Bhattacharya of Budget Traveller. Stockholm, Sweden! How awesome is that! What a great choice! The conference will be held in the swedish capital from the 14th till the 16th July 2016, so save the date if you would like to attend. The speakers and the sessions at TBEX were absolutely great. Seminars took place in the morning, at early midday and in the early afternoon, so that you could attend up to three per day. 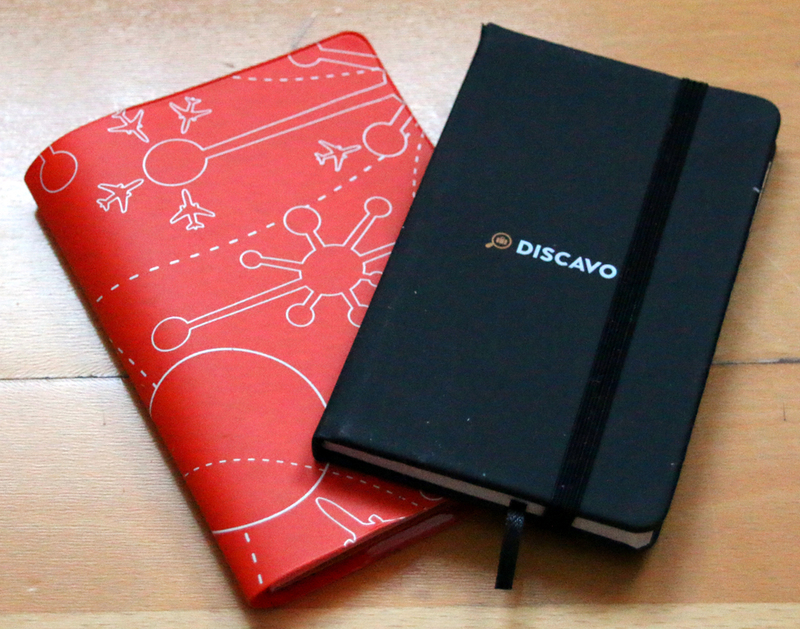 There were always five sessions at a time so that you had to choose wisely which one to take. At least for me there were often two or three interesting ones at the same time and that’s what I heard from other participants as well. Since I am german Travel Blogger and not an English native, the seminar “Building Community When English Isn’t Your First Language” which was offered by Lanora Mueller of Writing Travel, Agata Mleczko of NullnFull and Pola Henderson of Jetting Around was especially interesting for me. I also joined “Leveraging Your Brand Beyond the Blog” by Jodi Ettenberg of Legal Nomads and Derek Baron of Wandering Earl, “Working with Travel Bloggers from a Company Perspective: Pros, Cons, Expectations and ROI” by Stephen Oddo and Roisin O’Sullivan of Walks of Italy, “From the Pitch to the Relationship: How to Work with Brands” by Sara Robles of Sacrification and Katie Hammel from Viator and “WordPress for Travel Bloggers: Understanding the World’s Most Popular Content Management System” by Mitch Canter. Furthermore I would have loved to visit “How to Craft the Perfect Lead” by David Farley, “Planning the Long Game: Building for a Sustainable Future” by Stephanie Yoder of Twenty-Something Travel and Gary Arndt of Everything Everywhere plus “Hungry For Food Tourism: How to Feed the Trend Using Social Media” by Camille Rumani of VizEat and Lauren Aloise of Devour Spain but as mentioned before, you couldn’t take all of your preferred ones. There were about 30 Travel Industrials a Travel Blogger could meet for Speed Networking in the lobby of the conference hotel on both conference days between 3.40 PM and 5.40 PM. Therefore you first had to register yourself at BloggerBridge and fill in your complete profile there. Then you could check the companies who were available for Speed Networking at TBEX and send out invitations to those you would like to meet. If the company accepted the invitation they could choose the time slot for the meeting respecting both parties availabilities. If you were invitied by a company you could choose the time slot. It was very important to do all this a few weeks prior to the conference, preferably sooner than later. It was absolutely impossible to stay hungry at TBEX. There were always tables with coffee, tea, juices and water, snack and pastries in the lobby of the conference hotel plus a large buffet for lunch in the hotel restaurant. All of these foods and drinks were included in the price for the conference ticket unless you specifically ordered something. 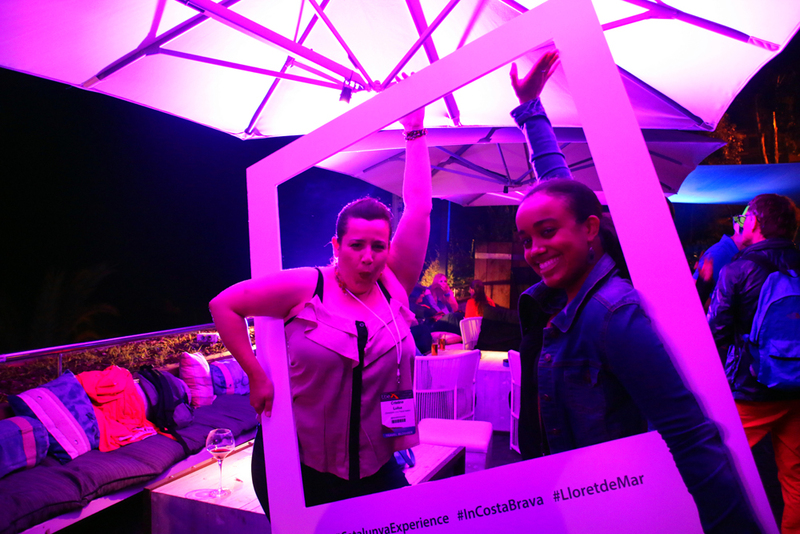 In the evening of the first evening, there was a Sangria Party on the rooftop terrace of the conference hotel. Snacks plus drinks for the first hour were sponsored by a partner of TBEX. 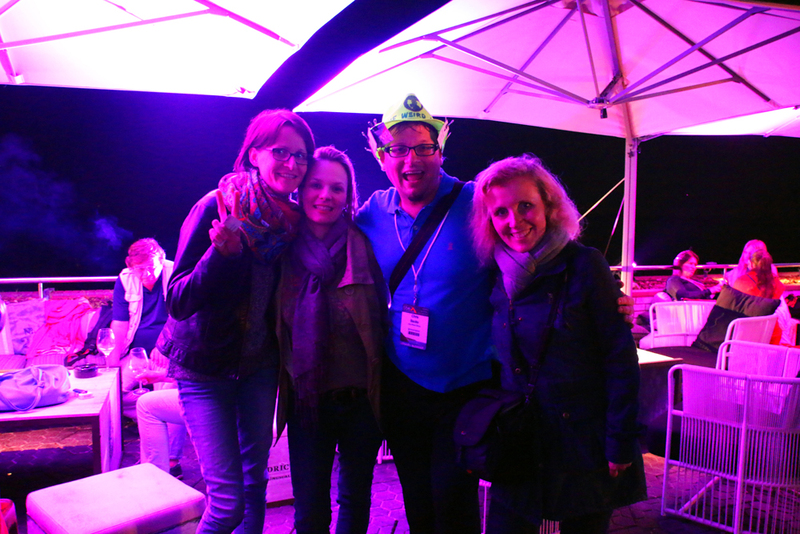 TBEX Europe 2015 finished with a great party which took place at Atics La Carpa, the same club by the beach where Travel Massive at TBEX has already been held. 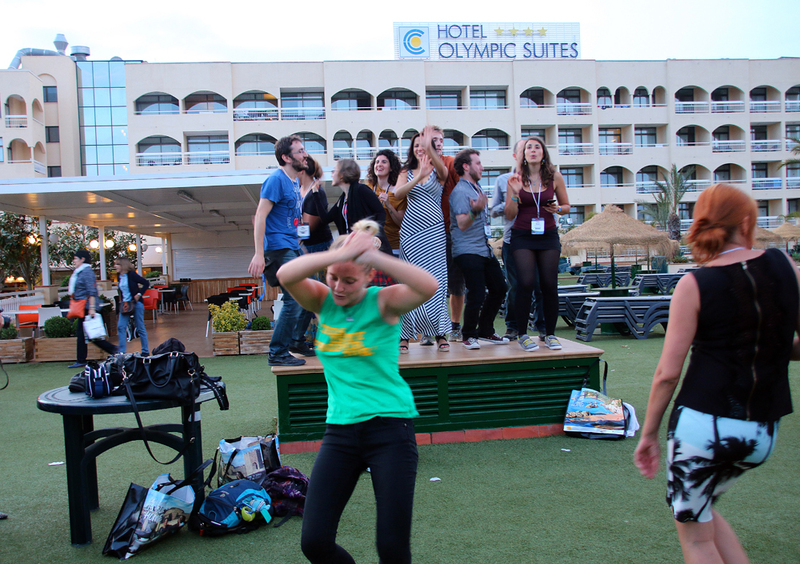 Earlier that day every participant of TBEX received a coupon for one free drink. 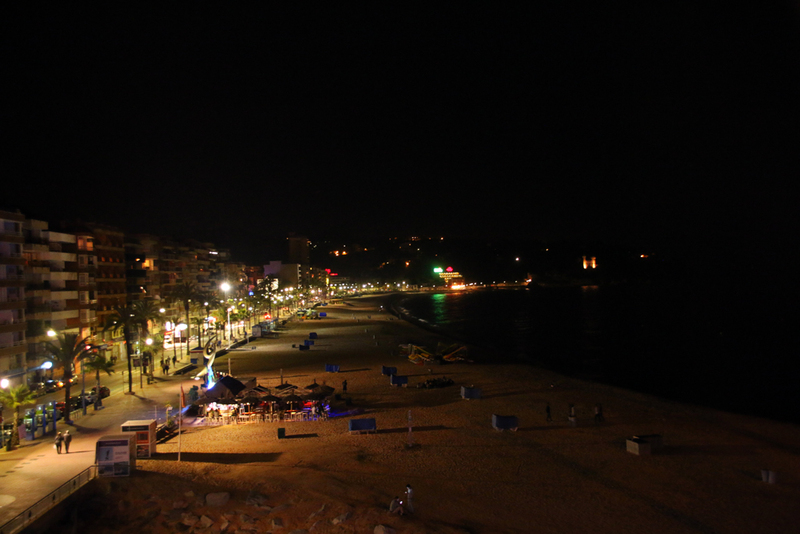 The view from the terrace overlooking the beach of Lloret de Mar was fantastic and the atmosphere superb. It was great to spend time with the people I have met at TBEX and I hope that I’ll meet as many of them as possible on one of the next conferences. There was a variety of FAM Trips or Familarization trips, also called Blogger trips, which took place in the days after the conference had ended. Some of them were daytrips, others took up to a week. 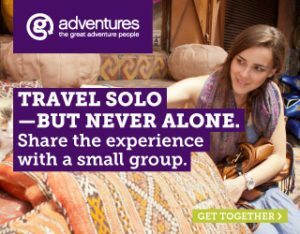 Different than the Pre-BEX Tours you could not just register yourself but had to apply for your preferred tours and had to be a bit lucky to be choosen for your favourite ones, so for the next conferences I would suggest to apply for all FAM Trips which are tempting to you. Since I had just gotten back from a trip to China short before TBEX, I spend only 24 hours in Barcelona and headed to the Costa Brava only for TBEX. 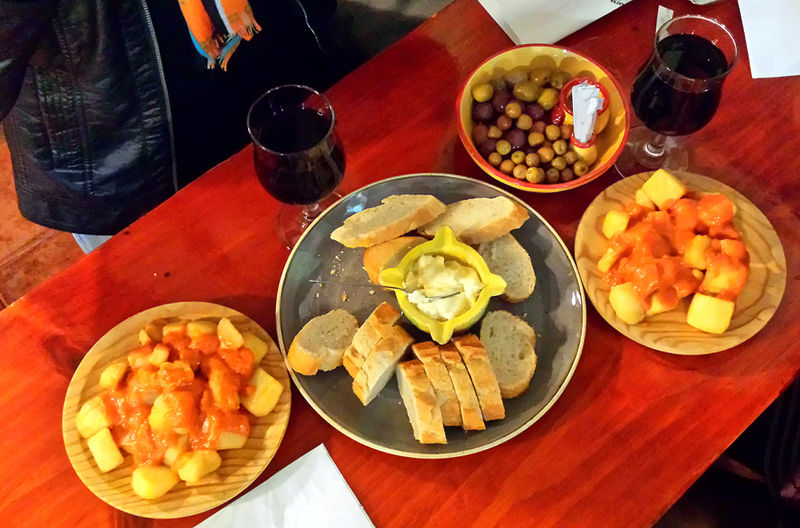 Unfortunately it I couldn’t afford to spend additional days in Spain in terms of time. 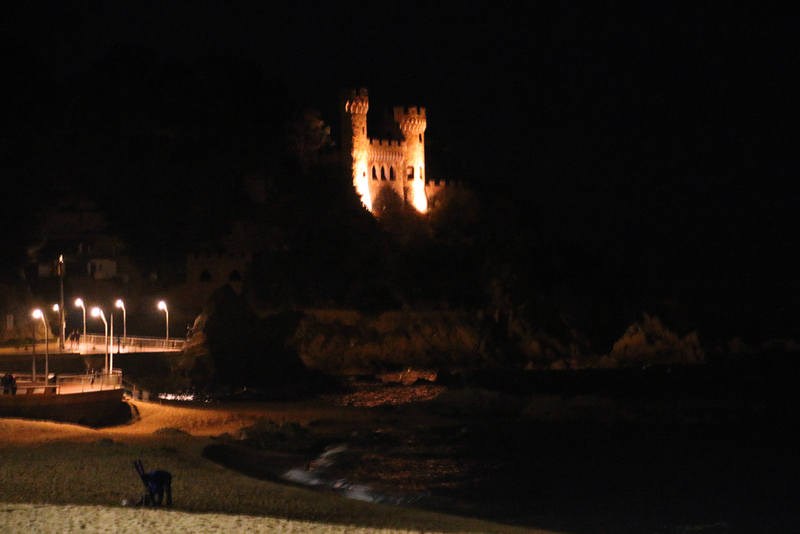 That’s why I didn’t see much of Lloret de Mar except of the following impressions. But on the photos from others I saw that it has more to offer than drunken young people and escalating parties. 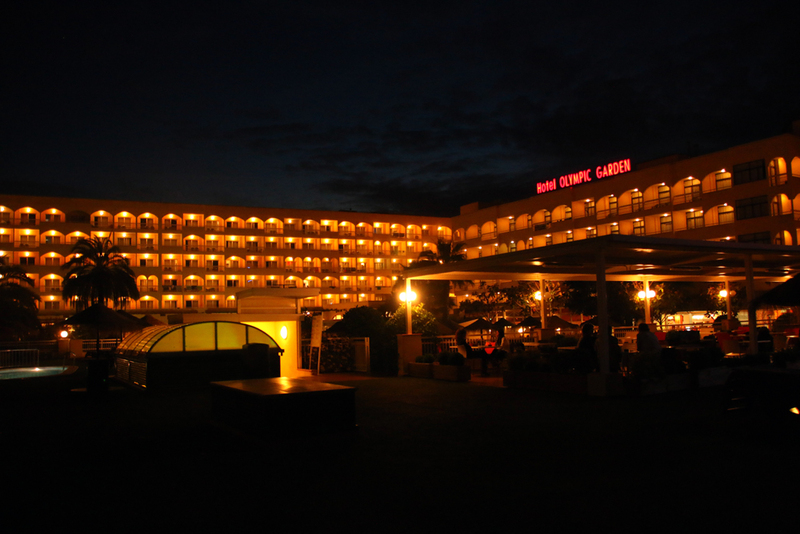 I stayed at the “Hotel Rosamar & Spa” and paid 61.20 Euros per night. My room itself wasn’t big and the bathroom was tiny, but it had a large terrace overlooking the pool and a sideways view of the sea. It was quite nice but compared to my hotel in Barcelona and other hotels I stayed in I found it a bit overpriced. Breakfast was included in the room price and the restaurant had an egg station where you could order your preferred eggs and omlettes but regarding fruits the selection was a bit limited. The hotel was in 25 to 30 minutes walking distance from the conference hotel but there was a TBEX shuttle bus which stopped in front of both hotels. Unfortunately it only left at 8.30 AM and at 9 AM to the conference hotel. Since breakfast at my hotel didn’t start before 8 AM, the bus at 8.30 AM meant a bit of a rush and when taking the bus at 9 AM one was late for the morning keynotes which started at 9.15 AM. Therefore it would have been great if there would have been a bus at 8.45 AM. 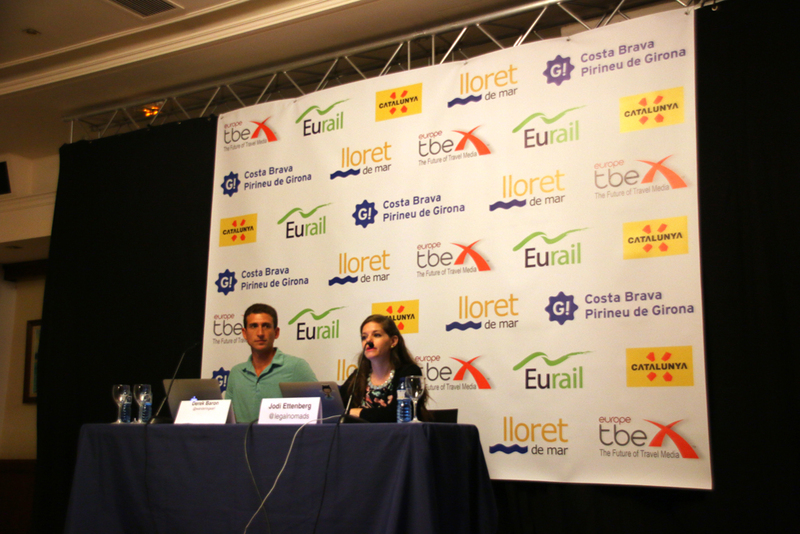 Several hotels in Lloret de Mar cooperated with TBEX and offered room discount for TBEX participants. I could imagine that this will be similar at the upcoming conferences. 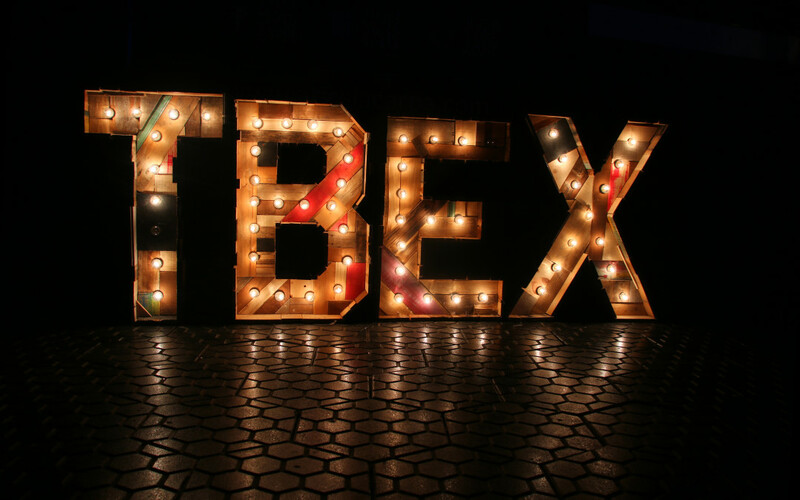 The next TBEX events are TBEX Asia in Bangkok from the 15th till the 17th October 2015, TBEX North America in Fort Lauderdale from the 28th till the 30th October, TBEX at Sea from the 31st October till the 7th November and TBEX Europe 2016 in Stockholm. I would love to attend TBEX Asia in Bangkok and TBEX Europe in Stockholm, but since I don’t know yet if I’ll have time I will wait some more time before purchasing my tickets. Did you enjoy this post? Then consider sharing it, leave me a comment below or follow me on Facebook, Twitter, Instagram, Google+ or LinkedIn. 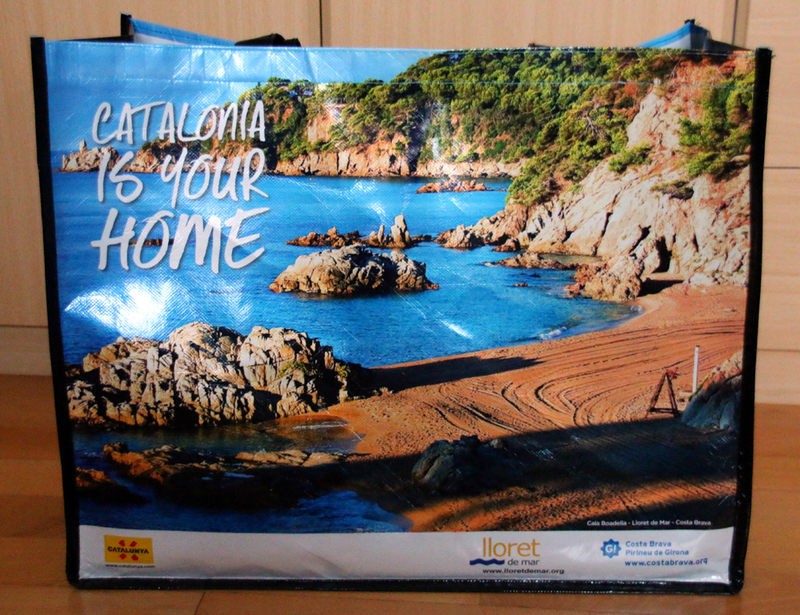 I bought my ticket for TBEX Europe 2015 at the Costa Brava in early March 2015 and I paid 127 US-Dollars for it. Here you will find the actual prices for the upcoming TBEX conferences. Hey Vanessa, was für ein toller Artikel, danke für die nette Erinnerung und auch für die Erwähnung! :) War schön, dass wir uns kennen gelernt haben! Bis zur nächsten TBEX – also in Stockholm bin ich wieder dabei. Hi Mandy, vielen Dank für Deine netten Worte. Ich hab’ mich auch sehr gefreut, Dich und Synke kennenzulernen. Ich würde freuen, wenn wir uns bei einer der nächsten TBEX-Konferenzen wiedersehen würden, ob ich es allerdings nach Stockholm schaffe, weiß ich noch nicht, aber vielleicht schaffen wir es ja alle drei nach Bangkok? Great detailed post! It was such a fabulous time… and I love that you have a picture of me busting out some of my best moves haha! See you in Bangkok?! Awww, thank you so much for your lovely comment, Mel. Yeah, I would love to come to Bangkok, but I don’t know yet if I’ll have the time. Well, I keep my fingers crossed. Hope to see you there. Great post! I’m glad to hear that you had a good time. I’m attending my first TBEX in Bangkok this fall so I’ll definitely be referring back to this in a couple months! Also when and where do you find out about the blogger trips and the Pre-BEX tours? Thank you so much, Justine. I didn’t find out about the Pre-BEX tours and the Blogger trips until a few days before the conference, but that was my fault because TBEX is revealing everything on time on their Blog and on their Facebook Fan Page. This time I was quite busy after my China trip but next time I will prepare myself very well for TBEX. It would be great to see you in Bangkok. You met Franca and Dale, aaaaaaaaaaaa! They are my favourite bloggers out there, no joke! Would love to meet there one day :)!! Never been to TBEX, but I will do my best to go there next time :-). 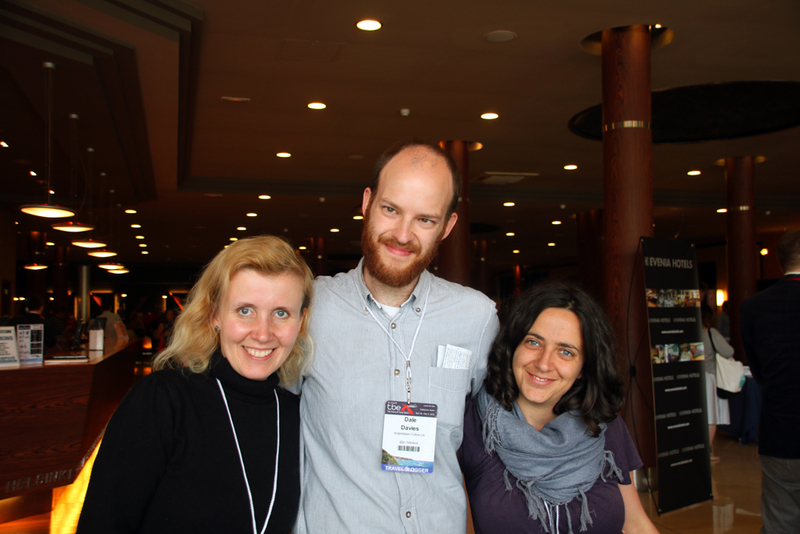 Yeah, it was great to meet Franca and Dale, I stumbled upon them after one of the keynotes. It was also great to meet other Bloggers you already know from their and to talk to those you didn’t know before. It would be great to meet you on one of the upcoming conferences or somewhere else in the world. Thank you so much for comment, Agness, and for stopping by. I really love your write-up Vanessa. It’s really detailed especially for newbies at TBEX like myself too. It was so nice to meet people that I know, have met before or have read all about LOL! It was great meeting you again and thanks so much for the mention. I won’t be going to TBEX Asia as I did all my Asia travel in 2014 but I will be at TBEX in Stockholm and I’ll be more prepared for pre and post trips. Victoria@ The British Berliner recently posted…The Queen came to Berlin. I’m British so pass me the Pimms! Awww, thanks so much for the kind words, Victoria. 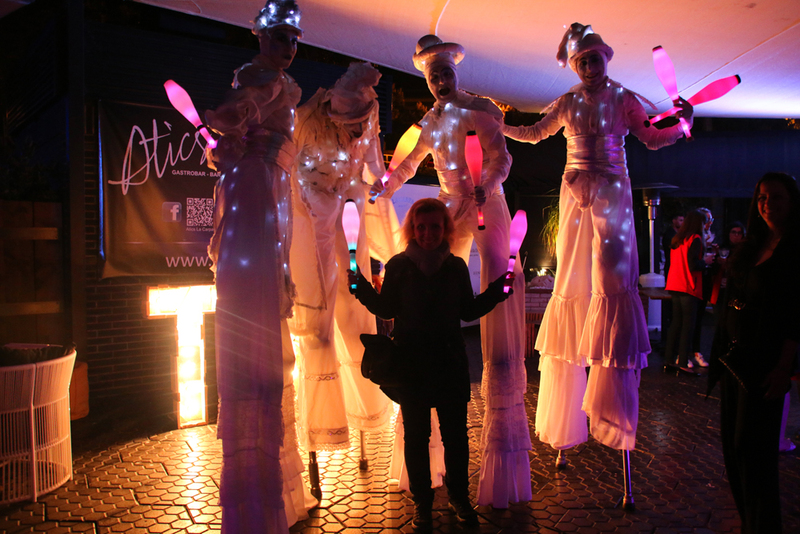 It was so nice to meet you at TBEX in Lloret de Mar. It is such a shame that you did all your Asia travels already in 2014 and that you won’t be at TBEX Asia in Bangkok. I don’t know yet, if I will be there, but I’ll try my best. I am by far not done with my Asia travels, at least not yet. There is so much more that I haven’t seen and that I still want to discover like the Maldives, Sri Lanka, Burma, Indonesia, Bhutan, North Korea, more of India and all the amazing places in China, of course, which I haven’t seen yet. Loved the write up! 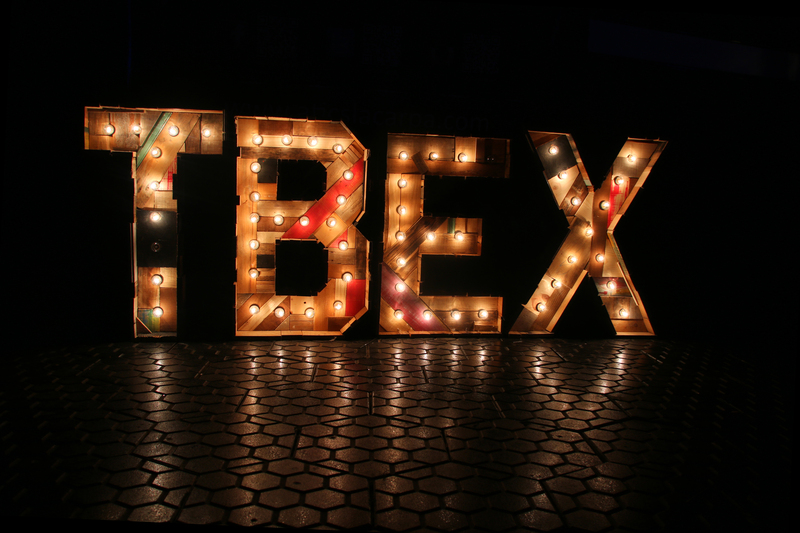 I am a blogging newbie and, like you, I also bought a ticket to Tbex after reading Jess’ post. It’s great to read all the details about what to expect, I’m a bit nervous about being around so many pro bloggers, so it is good to be prepared! Thanks so much for the kind words, Laura. Before heading to the TBEX at the Costa Brava I was nervous as well, but there is no reason for it. Everyone I talked to was really nice and it has been amazing to meet so many other Travel Bloggers. Are you heading to the TBEX in Bangkok? No matter which one you will be attending I am sure you will have a blast! Thanks so much for you comment, Laura. I am sure the Bangkok conference will be absolutely amazing and something very special because it is going to be the first TBEX in Asia. Plus I heard from many fantastic bloggers who will be there. Unfortunately I still don’t know whether I’ll have the time to attend because I am just doing an online training and I have no idea how long it will take me. As soon as I can foresee that I complete the course on time, I will get my ticket and I hope that there will be enough left then. Thanks so much for the kind words, Joella. I am sure TBEX in Florida will be amazing. Have a great time and enjoy!